Welcome to N207_2009_Group E's Headquarters. You came just in time! We nurse detectives were just about to start an investigation on one of the theories of nursing and it would be great if you could join us! Our main objective would be to know what the Science of Unitary Human Beings theory is all about. Whew! Now that was a lot of useful information. We're getting to know more and more about the theory. Before we move on with our investigation, let's take a breather! Time for an intermission brought to you by our very own team members! Just click on the slide below to start the show! A round of applause for our performers! *CLAP* *CLAP* *CLAP* Now back to work guys. 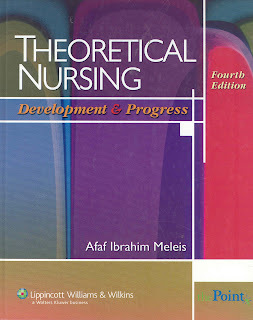 So far we've learned about the author of the theory, her theoretical sources and her major concepts and definitions. Now it's time to learn more about the theory. So now we know about the theory. We need to find out what the community thinks about it. How did the nursing community accept this theory? We're almost done! Here are a few insights from the detectives in our headquarters. unit that there is a way to communicate with the main proponent of the theory! for interviewing Martha Rogers for us! Let's hear what she has to say. Now let's STOP for a moment. let's review a few of the facts that we know so far. "In addition to Florence Nightingale, who introduced nursing to the notion of the centrality of environment in nurses' domain of practice, Martha Rogers is the person-environment relationship guru. Furthermore, her theory supports the essentiality of patterns and patterning in understanding the experiences in health and illness. She also reinforced the idea that nursing is based on science. She pioneered the connection between physics and nursing, and she provided the optimistic view of health that empowers the individual as well as the professional nurse. She was a visionary thinker, an inspiring leader, and a theorist who was ahead of her time. She saw the world of nursing very differently, and provided a framwork for others ot experience this perspective. Despite many critics, many of her concepts and propositions continue to stimulate innovative nursing research." And now, Ladies and Gentlemen, it is with great pleasure to present to you the Group E detectives!!! thanks it help me to answer my finals in MAN.